A man accused of murder in the shooting death of a young woman in San Francisco allegedly used a federal agent's gun, and now investigators are working to determine how he got that weapon. 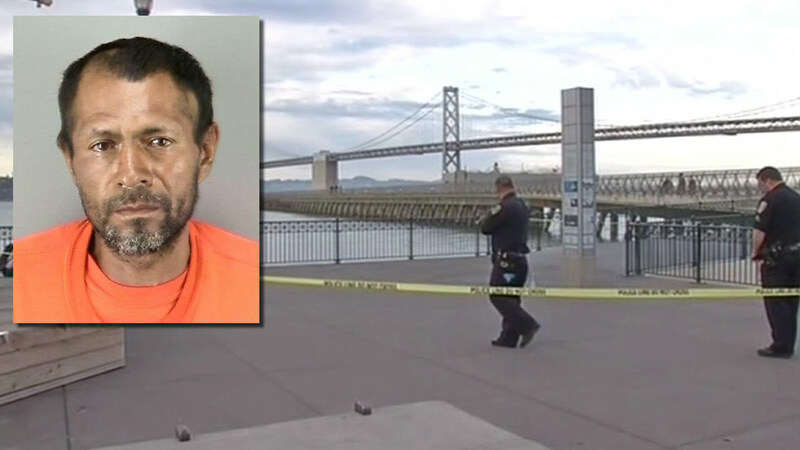 SAN FRANCISCO -- A man accused in shooting and killing a young woman at San Francisco's Pier 14 last week pleaded not guilty during his first court appearance on Tuesday. 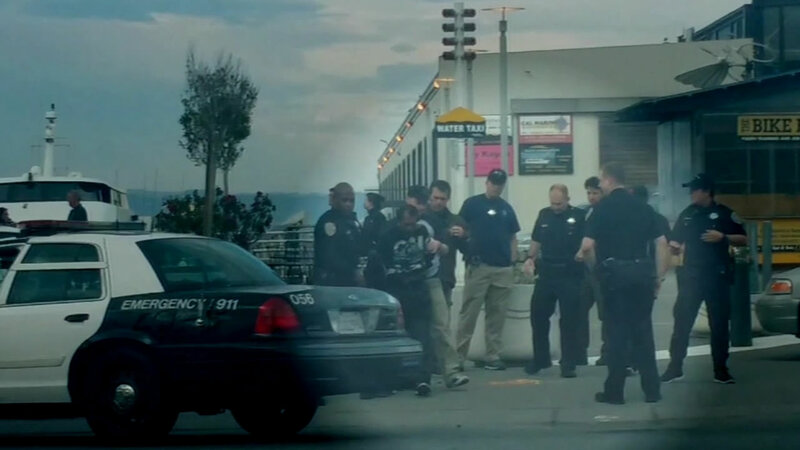 ABC7 News has also learned that the suspect allegedly used a gun that belonged to a federal agent. Investigators are now working to determine how Sanchez got the gun. One source tells ABC7 News that the gun may have been stolen from the agent's car. With a translator standing by, Francisco Lopez Sanchez pleaded not guilty in Spanish. He faces a charge of murder with a gun enhancement. Bail was set at $5 million. Outside the courtroom, San Francisco Public Defender Jeff Adachi said the bail was set too high. 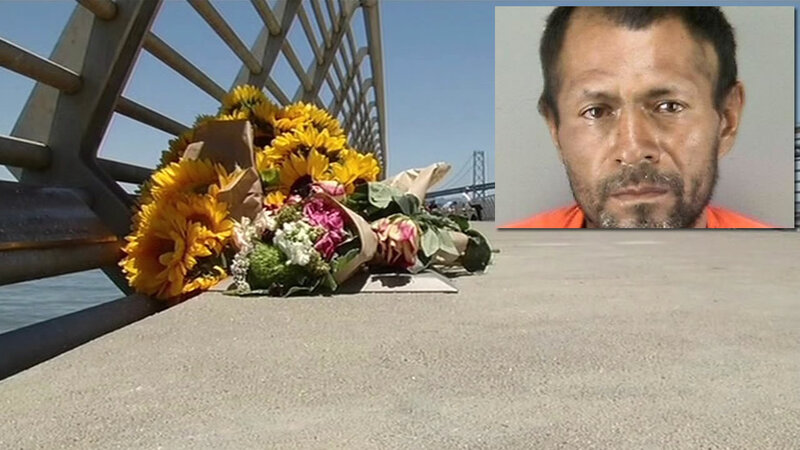 "Mr. Sanchez was only in San Francisco for a very short period of time," said Adachi. "He has no convictions in the state of California." Assistant District Attorney Alex Bastian then spoke to reporters. "Well, today is about Kate Steinle," he said. "It's about this incredible family that's shown such strength in this incredibly difficult time. It's about bringing justice to that family." 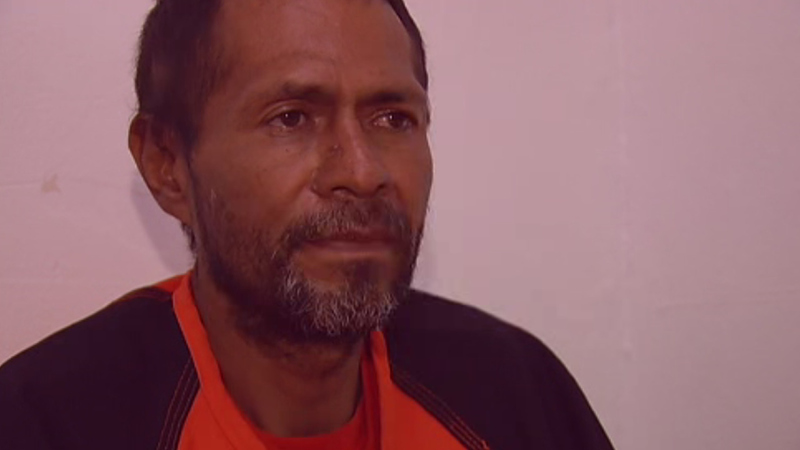 In a jailhouse interview with ABC7 News on Sunday, Sanchez admitted that he shot Steinle. 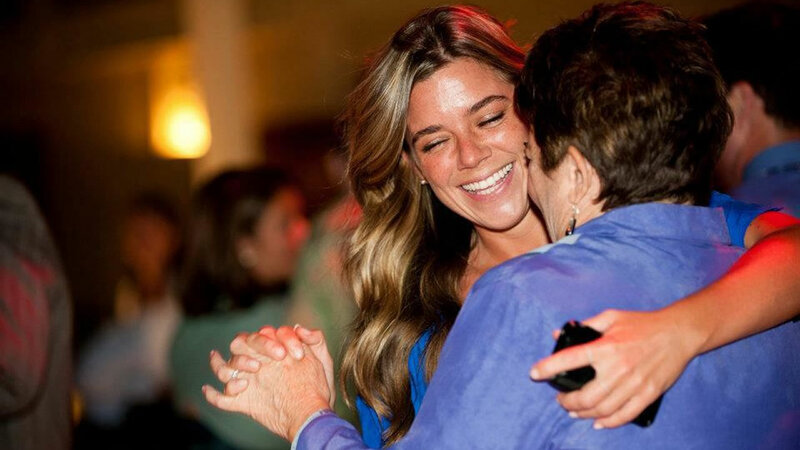 Reporter: "Did you shoot Kate Steinle, the lady who was down at Pier 14." Reporter: "You did shoot her?" Sanchez says he found the gun wrapped in a T-shirt at a bench on Pier 14 on Wednesday the day of the shooting and that the gun accidentally went off. His story has many inconsistencies. But his record has none -- five previous deportations and his release from San Francisco sheriff's custody in March even though ICE had a detainer on him because he was again in the country illegally. His record has ignited a national firestorm. 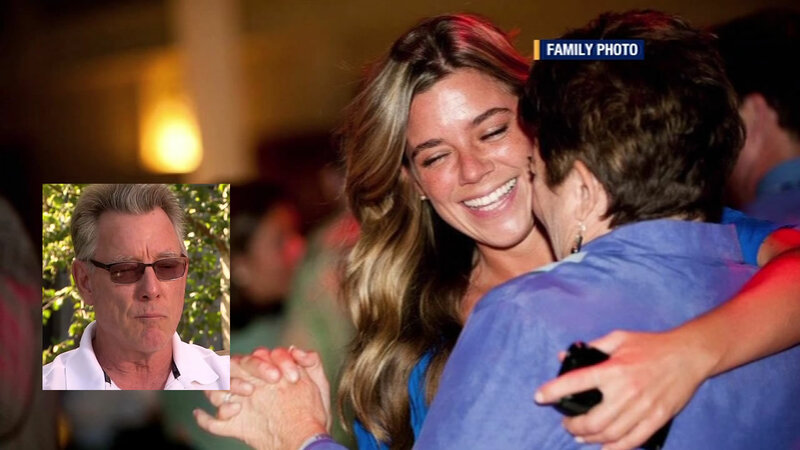 San Francisco Police Officers Association President Martin Halloran fired off a blistering letter which reads in part: "He is an illegal alien, not an undocumented immigrant and if he was where he belonged (Mexico), this innocent victim would still be alive." They posted the full statement on their Facebook page. In an interview with ABC7 News, Halloran added, "And if the politicians in San Francisco or in other cities that have similar sanctuary policies do not act on this, my fear is this will happen again." Sanchez goes back to court on July 27. San Francisco's local policy was questioned in the nation's capital on Tuesday. The chairman of the Senate Homeland Security Committee grilled a senior immigration official, asking how Francisco Sanchez could have been set free. "Tell me specifically what is preventing us when we have people in this country illegally and they have had seven prior felony convictions, why aren't we able to deport those individuals?" asked Sen. Ron Johnson, R-Wisconsin. To which ICE Assistant Director Philip Miller answered, "In that particular case, our detainer was not honored." When asked who didn't honor it, Miller said, "San Francisco Sheriff's Department did not honor our detainer that we lodged." The city's sanctuary policy means it does not hold people who are here illegally. Local officials are saying federal officials know this and know how to work around it, but that they didn't. "They know that they should have responded with a court order or federal warrant," said Sheriff Ross Mirkarimi. Federal officials say it's not feasible that they could do that for their hundreds of thousands of cases. "So there's another criminal warrant but he was released into general society to create a murder, or commit a murder. I mean, does that make any sense to you? Cause I'll tell you, it doesn't make any sense to the American public," said Johnson.